In 2006, the majority of people in Canada who identified as Aboriginal were of First Nations/North American Indian heritage (60%). 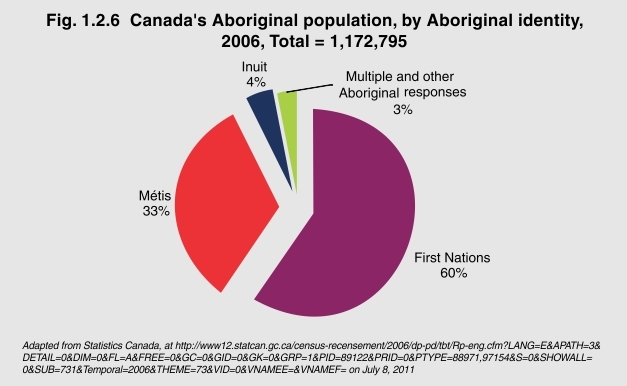 One third (33%) identified as Métis and 4% as Inuit. It must be noted that 3% of people who reported Aboriginal identity were of multiple Aboriginal backgrounds or of an Aboriginal background other than First Nations, Métis or Inuit.